Ed Helms: Tag Me In Actor Ed Helms talks about his new movie Tag and he shares a toothy secret kept from The Office producers. 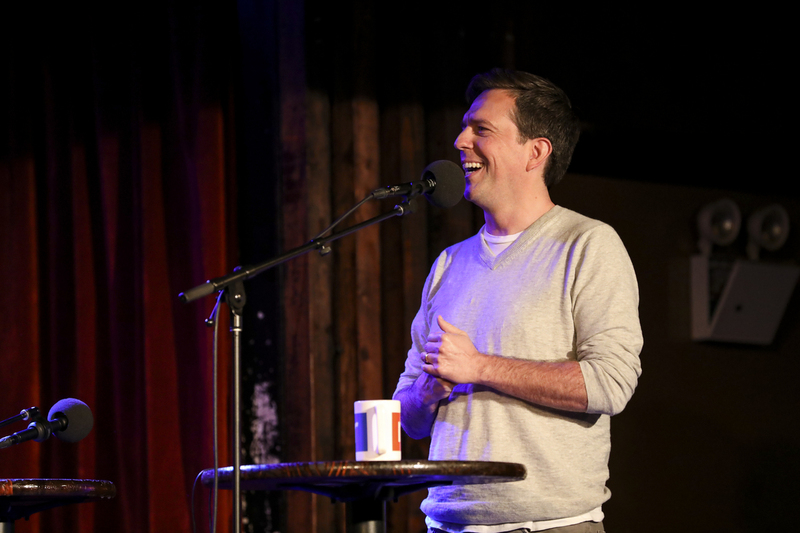 Actor Ed Helms appears on Ask Me Another at the Bell House in Brooklyn, New York. Before he was Andy from The Office or Stu from The Hangover, actor Ed Helms did stand-up at a dingy comedy cellar that, despite being in New York, was called The Boston Comedy Club. 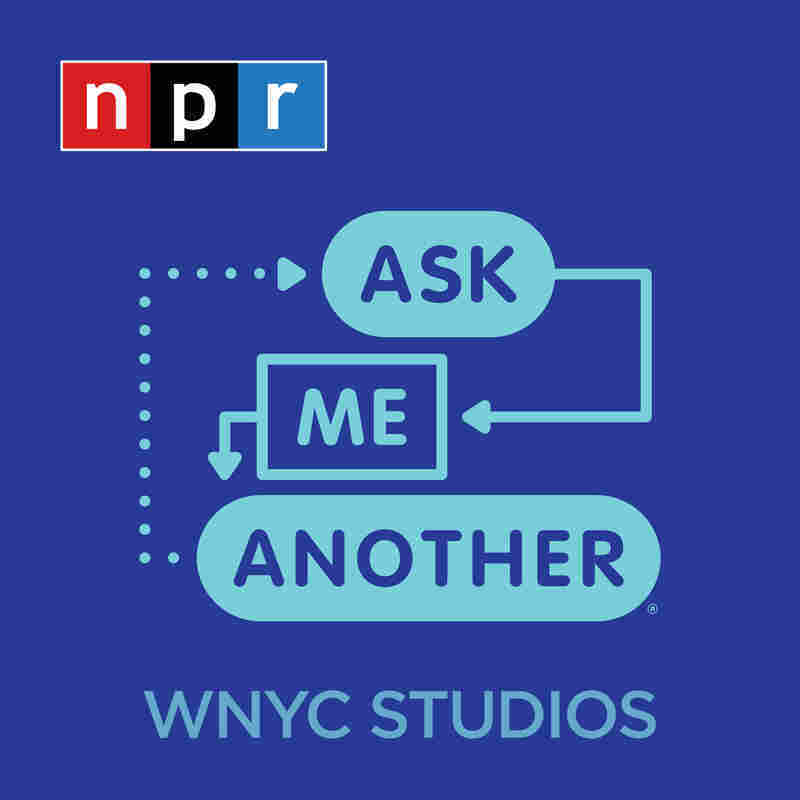 He reminisces on his time there with Ask Me Another host Ophira Eisenberg at the Bell House in Brooklyn. "The whole club just stank, you know," says Helms. He recalled having to provide five audience members just to get his slot in the line-up. "You made your friends pay for you to get stage time." Despite his early challenges breaking into stand-up, Helms felt an instant connection with the comedy scene. "I had this feeling: 'I'm where I'm supposed to be.'" Others agreed. It wasn't long before Helms was snatched up by The Daily Show, where he reported dozens of field pieces, interviewing real people while in character as a jerky faux-news correspondent. "I was making myself uncomfortable, too," says Helms. "A lot of times, I was squirming more than the person I was interviewing." Perhaps Helms' biggest physical sacrifice for the acting world was made with his dentist. Helms' character in The Hangover, Stu, wakes up from a wild night out with his front tooth missing. To film, "we tried a couple things like blacking it out... taking it out digitally would've been too expensive." Coincidentally, Helms was born without a front tooth and wears an implant, so he asked his dentist to remove the crown of the implant while he filmed the movie. "Welcome to my acting clinic," jokes Helms, "I'm going to talk to you about a little something called commitment." Helms' recently released movie, Tag, is about friends staying connected by playing the game of tag into their adulthood. While the premise is silly, Helms empathizes with the need to stay connected to old friends. He's been playing in the same bluegrass band, The Lonesome Trio, for 22 years, and likens his recurring jam sessions with bandmates to his Tag character's affinity for bonding children's games. "It's just a mechanism to be with people that you love, and that you care about, and you want to be connected to." Later in the interview, Ophira challenges Ed Helms to a trivia quiz about recreational games gone big time, from professional tag to the hide-and-seek championship. "We still get together and play, but we're not, like, working on stuff. We're usually just doing shots of whiskey and annoying our significant others." "'Just hang your soul up in the closet,' he said. 'You can come back for it later.'" "Give it up for cosmetic dentistry!"